Venice: Can Film Market Get Back to Business with New Film Market? FilmNation, LD Entertainment and The Weinstein Company are on the list of attendees, but with Venice on the heels of Toronto, some companies are dubious about big ticket business, Deadline reports. 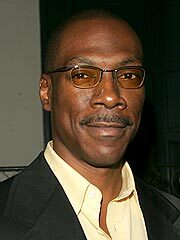 A possible sequel to the movie franchise is being shopped as a series with Detroit detective Axel Foley (Eddie Murphy) making an occasional appearance. The four major networks are getting pitches, Deadline reports. Multiple Oscar-nominated director David Lynch will receive a lifetime achievement award at the 20th Plus Camerimage festival in Poland. The festival, considered one of the world's leading events focusing on the art of cinematography, will honor Lynch with its Lifetime Achievement Award for Directing on the festival's opening night, Nov. 24, THR reports. The Hungarian filmmaker will lead the New Currents section at the 17th Busan International Film Festival. Also joining the jury is Naomi Kawase (The Mourning Forest), Korean actor Jun Woo-Sung (The Good, the Bad, the Weird) Nobel-prize winning French author Jean-Marie Gustave Le Clezio and Canadian author and film critic David Gilmour (The Film Club). The festival takes place in the Korean port town of Busan October 4 - 13, THR reports. The Adjustment Bureau director George Nolfi will direct and oversee the re-write of XOXO, a social media thriller. Black Swan writer Mark Heyman initially wrote the story on spec and was pitched as a modern-day Fatal Attraction, Collider reports.